Last Tuesday, July 31, 2012, saw the completion of the biggest tax shift in CSRA and Georgia history with the passage of the 1% sales tax for transportation called T-Splost. Less than two months after Columbia County Representatives Lee Anderson and Ben Harbin voted for $tens of millions in new sales tax exemptions for Delta Airlines, Delta, Georgia’s domineering airline, contributed $225,000 used to convince easily-swayed voters to vote themselves a 33%sales tax increase on food. Perhaps Delta, once notorious for sending passengers on the last leg back to Augusta on buses, wants safer roads on which to transport shafted customers upon whom it foisted an $8 billion tax increase. Anderson, now a candidate for the 12thCongressional District seat now held by Democrat John Barrow, voted to cut Delta’s sales taxes but voted for these sales tax increases on us in the middle class. Here we find Lee dining with George Bowen, the lobbyist who greased through the fuel tax exemption for Delta and Georgia Power. Worse is the behavior of Georgia Power Company, who gave $395,000 to deluge us with pro T-Splost propaganda after the same legislation saved them $hundreds of millions. It is noted that said cost savings supposedly are given back to consumers via fuel adjustments to their rates, but how many citizens trust those calculations? This also came after Lee Anderson voted in 2009 for Georgia Power’s advance billing of $1 billion in profits, hidden as “construction costs.” We got double digit rate increases from that, too. Yes, we voters are now going to have to pay Lee’s 14% T-Splost sales tax increase on those double-digit, advance-profit charges on our power bills. Here, the Georgia Gang, including former Augusta Chronicle opinion editor, Phil Kent, questioned the rush by Lee Anderson and others to pass the bill. Anderson, a hay farmer, also voted for a $500 million a year hospital bed tax. How did he make a “No Tax Increase” Pledge with Grover Norguist’s Amercans for Tax Reform and vote for these tax increases? Can we believe his promises? 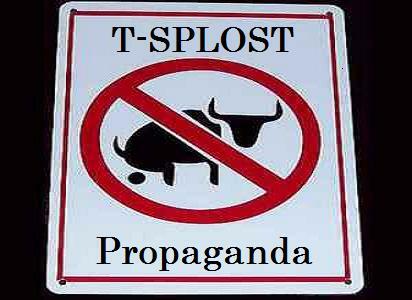 It was most frustrating for us in Columbia County to only be able to put up a few score “VOTE NO” signs, then go home to find pro-T-Splost mailers in the mailbox. I had to listen to broadcast appeals funded by these corporations who just got sales tax cuts. Finally, I got a batch of signs from Augusta County Commissioner Joe Bowles, who courageously fought adoption of this terrible tax. On August 21, we have chance to just say ‘No!” once again. This time it is a vote against legislators stupidly subordinating our Columbia County votes to those of ignorant and corrupt Augustans. 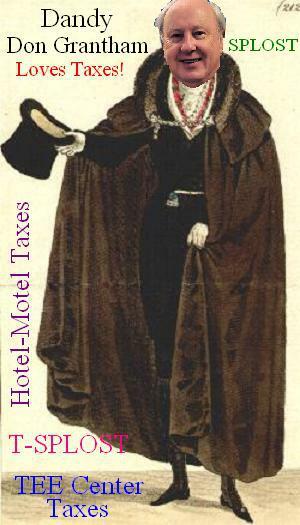 This time it is a vote mindful that this dastardly T-Splost tax begins to be collected January 1. Just say no to Lee Anderson for Congress. Lobbyists love him. The middle class groans under the burdens their orgies of money and excess we are left with. Just Dandy or Downright Irresponsible? A loose coalition of anti-tax and community activists has arisen locally to oppose T-Splost, which is the chosen acronym for a proposed new 1% sales tax dedicated to transportation. This measure is Referendum Item 1 on the July 31 Georgia primary election ballot. If passed, the sales tax rate in most counties in the Central Savannah River Area (CSRA) increase from 7% to 8%, for a whopping 14.3% sales tax increase. The funds collected from the new 1% T-Splost in all of the 13 counties in the CSRA region would be dispensed in two pots. 75% of the money goes into a designated, preapproved investment list projects, called the “Constrained Investment List.” Many, if not most, of these projects in the CSRA have long been on the Georgia Department of Transportation’s planned projects list to be built with motor fuel tax funds. For example, the extension of Riverwatch Parkway to Washington Road in Evans has been on the DOT planned list for a decade or more. Columbia and Richmond Counties are MPO’s (Metropolitan Planning Organizations) under the authorizing bill, the Transportation Investment Act of 2010, and will be empowered to use the new T-Splost funds largely without DOT involvement. The horse trading with the other 11 counties was thorny. As best can be told, the trade-off was to build the large investment list projects in Augusta and Columbia County early in the 10 years of the T-Splost, while the Investment list projects for the rural counties are delayed largely to the last 3 years, carrying the risk that the funds will run out. The bill says that these projects are guaranteed to be built but provides no funds. The other 11 counties are willing to be in this arrangement only by virtue of the 25% “Discretionary” Funds or Cash Pot. This 25% is set based upon a combination of road miles and population which vastly favors the rural counties. 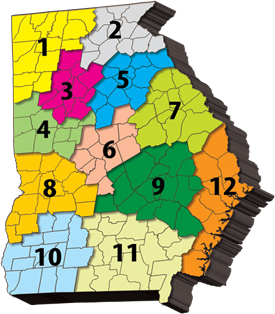 How much money is Augusta and Columbia County giving up into the Cash Pot for the rural counties? An astounding $87.6 million! Augusta gives up $63 million and Columbia County gives up $23 million in cash! Proof of this is found in the spreadsheet that the CSRA Regional Commission provided, although it required extending some of the data and calculations to divulge the truth of the matter. 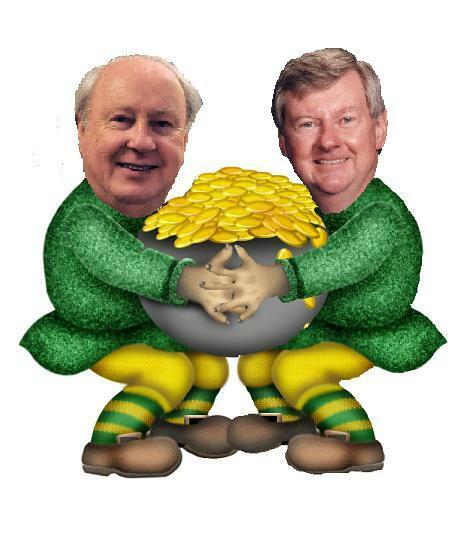 Don Grantham, Commissioner of the Georgia Department of Transportation Board for the Augusta Region, and CSRA Regional Transportation Roundtable Chairman Ron Cross were extremely generous with the “cash pot” funds to be doled out from their counties! In last weekend’s article, Overlay Somebody Else: My Battle With Columbia County Over Property Rights, the birth pangs of the ill-fated Evans Town Center Ordinance and the Evans Town Center Overlay District (aka ETCOD) in 2000 were revisited. This week, let’s look at what happened two years later, after the ‘rules’ had been in place long enough to judge how well they were applied. It is impossible to introduce into society a greater change and a greater evil than this: the conversion of the law into an instrument of plunder….Sometimes the law defends plunder and participates in it. Thus the beneficiaries are spared the shame and danger that their acts would otherwise involve… But how is this legal plunder to be identified? Quite simply. See if the law takes from some persons what belongs to them and gives it to the other persons to whom it doesn’t belong. See if the law benefits one citizen at the expense of another by doing what the citizen himself cannot do without committing a crime….Legal plunder can be committed in an infinite number of ways…..
Augusta attorney Gail Duffie Stebbins might not know Frederic Bastiat but she knew that the Evans Town Center was legal plunder. In 2002 Ms. Stebbins sued to have the Evans Town Center Overlay Zoning Ordinance set aside for failure to give her and other property owners sufficient, defensible notice. A Superior Court Judge agreed with her. Columbia County responded by curing the technical defects, then reintroducing the same ordinance. The As the Columbia County News-Times reported about the November, 2002 meeting: “It wasn’t any more quiet the second time around, ” an obvious reference to the near-riot that broke out in 2000 in a Planning Commission meeting at which the original ordinance was advanced to the Columbia County Commission. Brash statements? Not really. You see, there are concepts as old as society itself that found themselves into the Constitution of the United States of America and the Bill of Rights. Citizens cannot be deprived of EQUAL PROTECTION OF THE LAW under the 5th Amendment and cannot be deprived of property without DUE PROCESS OF LAW under the 14th Amendment. By these standards the ETCOD ordinance was doomed, because there had been scores of noncomplying structures and developments built with county approval. The proof was demonstrated in this presentation, made to the county commission that night. The approach was this. First, the ETCOD ordinance was broken down into the component standards. Second, digital photos were taken of all structures, buildings, parking lots, and landscaping represented by approved and constructed projects since the Town Center was launched in 2000. Third, the noncomplying features were categorized under the pertinent design standard that was violated. Fourth, the fact that there were scores of noncomplying projects and only 5 variances requested and granted was documented. Fifth, it was pointed out that the near-universal approval of nonconforming structures would simply doom the ordinance in court. This is how one defeats an overly aggressive government. One can turn the planners own ordinances, actions, and lack of enforcement against them. A property owner cannot be singled out for not conforming when equal protection says he must be accorded the same leniency of those who came before. Yes, that night Columbia County fixed Ms. Stebbins’ objections, only to run into decisive defeat before the meeting concluded. After all, equal protection has its roots in the Bible admonition “do unto others as you would have them do unto you.” Even politicians find themselves nodding in agreement with that. The Town Center plan ended up being a collection of upgraded architectural finishes and landscaping, but the unenforceable parts died that night. New Year’s Day in the year 2000 did not find this writer worried about the world’s computer systems crashing because of the Y2K or much of anything else. Two new clients and two projects in Missouri – a state-of-the-art hot dog plant and a deli meat production facility beckoned. It was a very lucrative contract that took me away from the Augusta area, as nearly all of them have. A most successful bowhunting season had just been concluded. The parents were still able to take care of themselves. 1999 had been good, but 2000 would be even better. It did not start that way, January 1 pleasantries not withstanding. Sometime in February, after trudging through 15 inches of snow in St. Joe, MO, I returned to my motel room just in time to catch a call from my parents. It seems that they had gotten an official notice about an ‘overlay’ zoning ordinance to cover something called the Evans Town Center Overlay District (ETCOD). It concerned them that the county was looking to pass some sort of control over their commercially zoned property on Washington Road. We were not totally surprised, having attended one of the planning meetings for the town center at Savannah Rapids Pavilion. 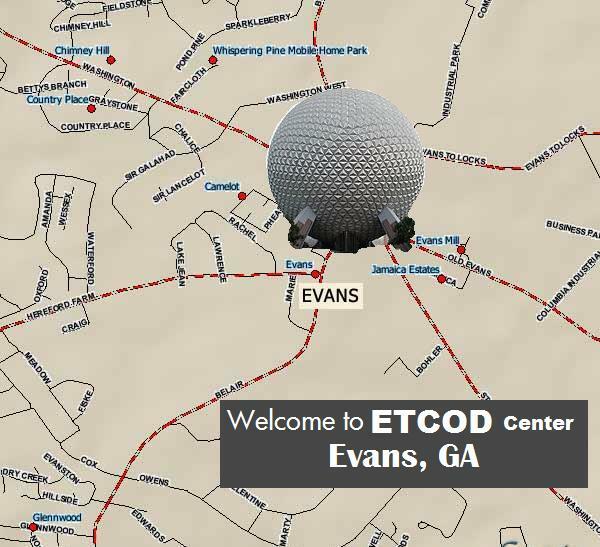 Actually seeing the map of ETCOD was an eye-opener. It was a gerrymandered map that looked like a headless woman in a dress stumbling like a zombie. Then there was the matter of the text of the proposed ordinance. It banned any store over 30,000 square feet, imposed expensive architectural upgrades, and made plans to completely rework the zoning map via overlay zoning to impose government land use planning instead of free market economics. It was aimed straight at our family, who had decades long plans for a major shopping center to the west of Ronald Reagan Drive. Worse, it would have ruined decades of planning along with previous county officials which included gifted water and sewer easements and providing for a road into a subdivision. The night of the first Planning Commission meeting, the elite of the Augusta and Columbia County development sector was in attendance. Your scribe had never made a public speech before. Knees shaking from fear and voice quavering, my speech might have gotten off to a disastrous start, but the first order of business was to loosen things up by poking fun at the gerrymandered map. The room exploded with laughter. A key point was made that the map was discriminatory, lacking uniformity of application. The county attorney would later agree, forcing new notices to be sent to everyone in a 3500 acre circle. Up behind the lectern, a transformation took place. The meek accountants knees were still knocking, but the cause had turned from fear to RAGE! When the county was forced to make ETCOD a uniform circle, the action resulted in our family gaining scores of new allies against ETCOD. Even one of the chief proponents realized our position because her family’s land was now in the overlay zone! She exclaimed in a meeting. “We don’t want those rules on OUR PROPERTY!” Neither did a lot of folks. When the planning commission decided to ram through ETCOD, two of the commissioners stayed home in fear. The 3 left decided to ram the vote for the ordinance through. The entire room, it seemed, leaped to their feet and shouted “NO!!!!! !” It was the closest thing to a riot that Columbia County has seen in a public meeting in modern times. The county commission appointed a citizen’s committee headed by contractor Ron Cross to work out a compromise. 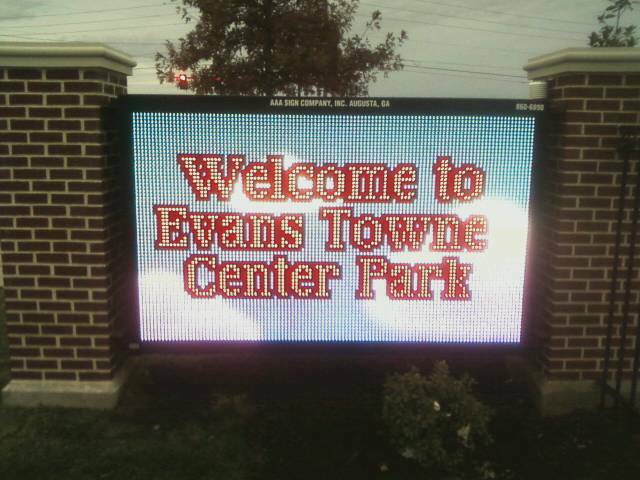 The Evans Town Center Ordinance was birthed eventually, but the baby was a lot trimmer and caused less labor pain. There were other battles to come. They are best left to another day. The salvation of our family came in the form of gifts from our founding fathers. The 5th and 14th amendments to the United States Constitution provide each of us, as citizens with guarantees of Equal Protection Under the Law and that we cannot be deprived of property without Due Process of Law. More recently Columbia County implemented Corridor Overlays, Lincoln County did the same, and last year Augusta attempted to enact a flawed Laney Walker Bethlehem Overlay District. In each instance it was a privilege to help fellow citizens being assailed with threats to their rights from overlay zoning. Pertinent to today’s events, in which the diabolical Agenda 21 plan is infiltrating all levels of government, the Evans Town Center Plan developed by consultants Rosser- Lowe, was even then replete with references to “smart growth” and “Sustainable Development”. You have to remember that Columbia County is a solid Republican County, not a place one would suspect that a socialist agenda could take root in. We have to be constantly vigilant everywhere. When one can dissect the planner’s plans and turn the evidence against them, he can win huge victories against the odds, for the truth overwhelms the planners and allies arrive in droves. The furor over the construction of Magnolia Trace Subdivision, a low income housing development funded under the auspices of the Georgia Department of Community Affairs (DCA), was white hot back in November of last year. Much was said and written about hidden machinations behind this development, particularly the Columbia County Board of Commissioners’ resolution in support of the development at the apparent prompting of county attorney Doug Batchelor in June of 2010. Ire of project opponents reached epic proportions when it was revealed that Batchelor had worked for the developer, Affordable Equity Partners of Columbia Missouri, or one of its stable of interrelated companies on an earlier project and was the closing attorney when AEP affiliate Magnolia Trace LP purchased the land in the second half of 2011. Speculation abounded, but truth lies in the documents, to the extent that they are discoverable. This writer prefers to focus on the story the documents tell, so was moved to examine the process by which Magnolia Trace came to be approved for DCA’s tax credit program. The review found that the DCA’s Qualified Application Program was so stunningly exhaustive in its information and filing requirements that very few mysteries would remain, should an examiner look at all of the filings that DCA has. Doing an examination of the required documents was natural and logical. A Georgia Open Records Act request for DCA to make the Magnolia Trace Application available for inspection and copying was submitted last week, with the review taking place yesterday, Wednesday, February 29, 2012 in DCA’s Atlanta headquarters. Ms. Phyllis Carr, of the DCA Housing Finance Division, graciously coordinated the review, provided the documents, assisted, and answered questions. The examination was intended to answer these inquiries: 1) Was Doug Batchelor prominently engaged by Magnolia Trace LP in the application phase? 2) Was there active involvement of Columbia County, over and above what has been disclosed, during the application process? 3) What was the nature of the agreement to purchase the land by Magnolia Trace LLP from previous owner DORRA LLC? 4)What realtor(s) were involved? 5)What entities benefited from this transaction and were politicians tied into them more than previously reported? Beyond Batchelor’s involvement with gaining the favorable county resolution and being the closing attorney for the developers, no other evidence was found anywhere in the 8 inch thick application and supporting documents of his involvement or that of his firm, Hull Towill, and Barrett. The attorney appearing on the option for the developer to buy the property was the Atlanta giant, Smith Gambrell and Russell. VanMatre, Harrison & Volkert, P.C. Of Columbia, Missouri is the attorney of record for the project. Legal fees budgetted for the construction were $52,000, with no distribution among firms cited. Legal fees for land acquisition, where Batchelor is known to have fit in, were set at $15,700. Title and recording fees were a surprising $18,000. Columbia County’s involvement beyond the controversial resolution endorsing the project was minimal. Most of the preliminary inquiries were done by intermediaries without the project or its owners being named. At December 31, 2010, when the application was due for decision, no issues pertaining to Columbia County remained. The contract for the purchase of the land was executed March 24, 2010 between Peach Way Holdings, an affiliate of Affordable Equity Partners (AEP)and the owner of the land, DORRA, LLC. The particulars of purchase price, contingency upon DCA approval of tax credits, and eventual closing date have been widely discussed and will not be reiterated here. The contract for the sale shows that the realtor was Sherman and Hemstreet represented by agent Billy Franke. The deadline for closing of March 2, 2011 was obviously missed and was extended. The contract gave the buyer wide latitude to cancel the sale until it had approved and accepted the offer of tax credits on March 14, 2011. The new information discovered in this review was that in a initial review and determination letter sent to Magnolia Trace LP, dated December 14,2010, the DCA “determined that the Application does not meet the required Threshold requirements of the Application.” The reason cited was that costs were out of line with other DCA developments. Magnolia Trace appealed within the allotted 5 days of the letter. The tax credits were approved on March 14, 2011, three months before a sister AEP entity, Capital Health Management, Inc. gave Georgia House Speaker David Ralston $5000, so there was no quid pro quo evident in these events. Overall, the strategy employed by AEP appears to be to internalize as many of the project planning, development, financing and other major cost components of its projects, meaning reduced use of other professionals. This strategy is employed in conjunction with lavish campaign contributions at the state level and to a much lesser extent, the local level, with Rep. Ben Harbin being the key local beneficiary. Look for future reports here on the broader policy issues presented by this particular financing method for low income housing in Georgia, using Magnolia Trace as an example. The current effort was restricted to addressing local government in the process.No effort was made to investigate the DCA evaluation of this application after the initial rejection, because the reasons cited were costs, not local government factors. No smoking guns were found in this examination as relate to Columbia County and its officialdom. What was found was a highly-regimented and documented process required by the Department of Community affairs accompanied by a high degree of supporting documentation. The author was and is most impressed, as not many recent reviews have found such accuracy. Share this article on Facebook or through email by clicking on the buttons below. In case the audio was too poor for some readers, Rhodes said “From now on, you make sure that Mr. Batchelor has a standing order that if anybody like this comes in his office again – kick them out.“The double sounds of ‘Kaaa-Chinngg…” might have been ringing so loud in Batchelor’s ears that he missed Rhodes’ imperative. The warranty deed was recorded in the Columbia County Clerks office on September 26, 2011, with the security deed and assignment documents being recorded on September 29, 2011, apparently after being signed by Sterling Bank of Poplar Grove, Missouri and returned for recording. 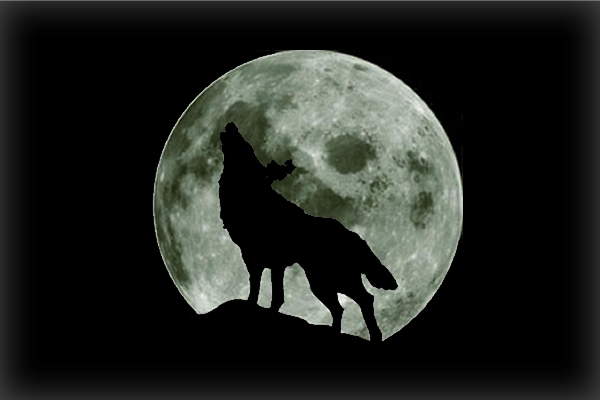 The assignment was re-recorded on October 10,2011 to include a missing exhibit. The odyssey that began in the Spring of 2010 in Mr. Batchelor’s office looks to have concluded in his office in late September 2011 with Magnolia Trace LLC land purchase documents. Why were the developer’s purchase documents signed in county attorney Doug Batchelor’s presence? Why were the security deed and assignment papers directed to be returned to him after they were recorded? Does the county attorney usually become involved in closing developers’ property? 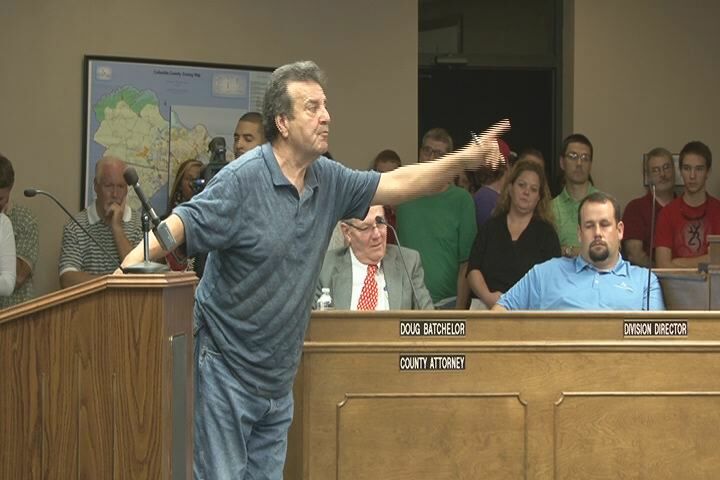 The protesting citizens were told that the county had nothing to do with the sale of the Magnolia Trace property. Was this the truth? If so, why these delivery instructions? Was Mr. Batchelor serving two masters while garnering pay from both? Why are there no other local attorney’s work in evidence on the sale documents? A decade ago a group of property rights activists was seeking support from Evans businesses in battling the Evans Town Center ordinance and thought a car dealer to be a likely ally. The manager very quickly asserted that he didn’t see that they had a problem, because the county attorney who wrote the ordinance was their attorney. Frankly, that story wasn’t believed then – there was no substantiation of it – and is hard to believe now.The county video of the December 6 meeting shows uncharacteristically halting, stammering, and searching by Doug Batchelor. That was hardly reassuring. Earlier this week, the report of the special outside counsel engaged to explore ways of halting Magnolia Trace construction was released. It said that the development cannot be stopped. The legal work on the other side in advance was just too good to overcome. When CityStink replayed this short presentation two thoughts about current events leap to mind. Nathan Deal’s Columbia County Chairman, Trey Allen, whom Al Gray directly warns in this video, is now in dire straits politically, economically and professionally because Deal “rewarded” him by appointing him to the board of the Department of Community Affairs (DCA). DCA is financing the hated Magnolia Trace subsidized housing development in the heart of Allen’s Martinez District of the Columbia County Commission. 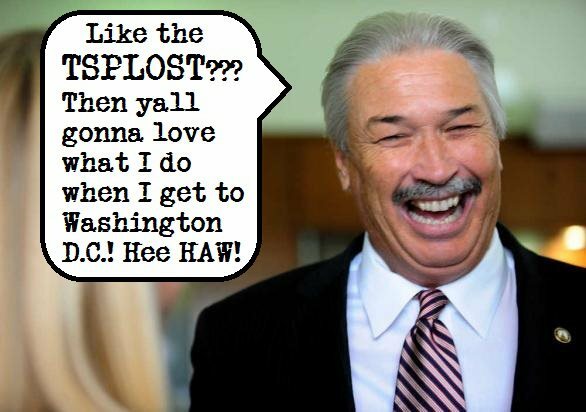 The citizens furor is stoked by Allen’s DCA post and his early meeting with the developer in the county attorney’s office. Trey Allen could have heeded the warning and resigned from Deal’s campaign. Voters in the Georgia CSRA rejected Deal 2:1 and 60% to 40% in Columbia County, despite the entire political power structure standing behind Deal, including Rep. Barbara Sims, in whose district Magnolia Trace is to be built. Mention of the CFMA of 2000 sent us back to Al Gray’s July 2010 video of warning. Yes, CityStink knows Gray’s economic and financial alarms seem incomprehensible to the layman, but this video is worthy of a careful and complete hearing. Why? It lays the responsibility for this devious act of Congress at the feet of Nathan Deal and tells of the consequences if the Dealer became governor. It tells of what lies ahead from Deal and company’s ruinous votes in Congress. The voice crying from the wilderness was right. Heck, ask Trey Allen. He looks to be the ultimate bad Deal victim. The undisputed king of overlay district zoning in the Augusta Area was the departed Jeff Browning, long time Planning and Zoning Director for Columbia County, master of the Evans Town Center Overlay District (ETCOD), the Columbia County Master Corridor Overlay district, the Fury’s Ferry Corridor Overlay District, the Washington Road Corridor Overlay District, the Columbia Road Overlay District, and the Bel Air Road Corridor Overlay District. Other than making nice brick exteriors the rule rather than the exception and having a few token trees poked into the ground, the overlay districts have been largely failures. Columbia County simply never gave Mr. Browning an office tower filled with the planning and engineering staff to make the things work or to impose the rules uniformly. Once this was lost, the overlays simply became a tool of extortion placed upon the poor hapless commercial property developer operating on borrowed money and time. This was predicted at the time the first overlay zoning district, ETCOD, was passed in 2000. A study in 2003 showed only one property that met ETCOD’s stringent requirements, out of dozens of businesses built under its authority. The ordinance required variation hearings and notices for the slightest deviations and there were scores of exceptions, yet there had been only 4 variation hearings held and variance permits issued. The written rule gave way to the as-built rule, de jure law yielding to de facto law. It became a simple matter for a developer with a little sense and time to spend to defeat the written rules by taking digital camera shots of allowed exceptions, measuring distances, and counting the number of approved parking spaces allowed his predecessors. All these things drove poor Jeff Browning to distraction. Eventually they drove him back to Tennessee. Of all the things Browning despised most and worked hardest to keep out of Evans were large electronic signs. The bankers were his undoing on that one. One can only imagine old Jeff’s reaction to Columbia County itself erecting a very large electronic sign (see above at top of this article) on Ronald Reagan Boulevard. 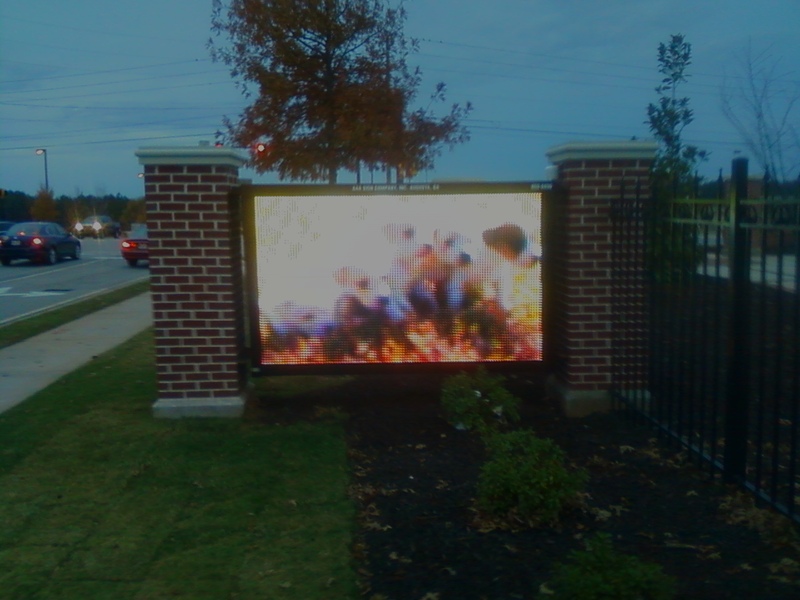 This incredibly bright sign sits in front of the new Towne Center Park, which instantly has become a raging success. One might even call the weekend throngs there a vindication of Commission Chairman Ron Cross’ vision for the park, once seen as a heavily wooded minimalist utopia by the naturalist crowd – all ten of them. That sign almost screams defiance of the tree huggers. Crowds entering the park are advised of the latest movies showing, the time and temperature, and things we all love – Puppies! Now that’s a sign overlay that works – in a place where Browning doesn’t any more. Adopt a puppy. Hug a Columbia County Commissioner. After their own overlay wars and now Magnolia Trace, they need it.